We had the opportunity to spend a little time with Abra Moore, Grammy nominee for best female rock vocal performance for “Four Leaf Clover,” before her concert at WineRave in Santa Clara, California. 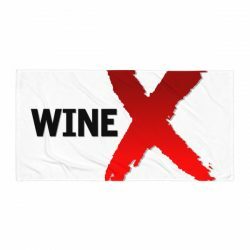 Wine X: Welcome to WineRave. Moore: Thanks. It’s great to be here. Wine X: So how’s the tour going? Moore: ‘S goin’ good. I just got back from Spain. I have some good fans there. Before that I toured with Big Head Todd and the Monsters. I’m just doing a few little giglets right now. Wine X: You like touring? Moore: It’s a lot of work. But it’s like anything in life — you gotta make the gig. Wine X: This is a typical day for you? Moore: Yeah. I took the redeye in from Chicago last night/this morning. Went to the hotel. Got up veeeeery early to do a radio show and then came here to do a photo shot, interview and the show. Then I get to go to bed. Wine X: Would you like some Pez? Little sugar rush? Moore: I love Pez. Oh it’s Tweetie Bird. Moore: Yeah. Strangest Places is my second major release as a solo artist. My first was called Sing, which was on the Bohemia Beat label. Moore: Poi Dog Pondering. I started it with some friends in college in Hawaii. We had two releases with Columbia records. Wine X: So you’ve been performing for…? Moore: I wrote my first song when I was six, my first “real” song when I was 18, with Poi Dog. Wine X: How old are you? Moore: Old enough to know better. Twenty-eight. Wine X: And this is what you’ve always wanted to do? Moore: Actually I wanted to be an interpreter. 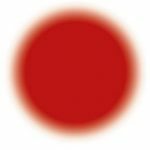 I studied language and voice in college, in Hawaii. I’m fluent in Spanish and Japanese. Wine X: So how’d you choose music? Moore: The music thing just kinda chose me. I come from a very artistic family, so I’ve always done this. My father’s an artist from the Beat Generation. I grew up hearing Billie Holiday, Chet Baker and the whole jazz era. I was into the Beatles, the Stones, Dylan, Judy Garland, Bette Midler, Tom Petty and all the seventies stuff. It all colored my palette. Wine X: So what inspires you to write? Wine X: You write all your own stuff? Moore: Yeah. I collaborate with my producer Mitch Watkins on some songs, like the title song of the new album. 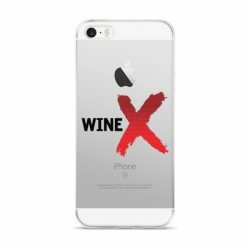 Wine X: Your sound definitely transcends the typical genre categories. How do you describe it? Moore: I guess I’d have to say it’s alternative pop folk. I mean it’s definitely not grunge or blues or jazz. Alternative pop folk. Yeah. Wine X: How’s the wine? Moore: Very good. What is it? 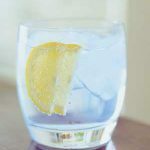 Wine X: What do you usually drink? Favorite wine? Moore: Concha y Toro. Or a hardy red. I like red. 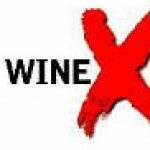 Wine X: You drink wine regularly? Moore: Yeah. We have brewskies and wine back stage when we’re on the road. And I drink it when I’m home. Moore: Austin, Texas. In the ‘burbs. Got a cop, a lawyer and a comic writer for neighbors. Moore: Two dogs — Greta and Pablo. I saved Pablo from the electric chair. He was old and sick, and nobody wanted him, so I saved him. He’s too old to travel, so he stays at home when I’m on the road. He’s the one in the Visa ad I recently did. Wine X: Getting back to the music… How would you describe the evolution of your music? Moore: I think Strangest Places is a little edgier and aggressive than Sing, which was more delicate and poetic. It wasn’t a conscious decision. When Mitch and I began honing in on the songs for the album they just kinda took on a life of their own. Wine X: We know you have to go. You have a web site? Wine X: And people can stay in touch with you and what you’re doing? Wine X: We appreciate your time. Wine X: You can keep the Pez. 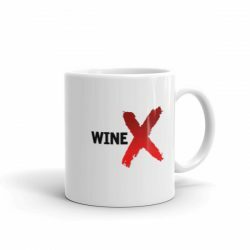 It’s a gift from all of us at Wine X.